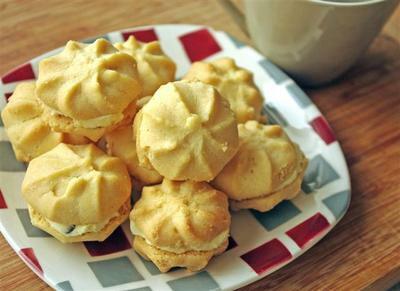 Melting Moments take about 10 minutes to make at home (plus baking). They're crumbly and delicious. Try adding 1 tablespoon cocoa to the icing or the dough for a chocolate kick. Click here for the Weekend Notes biscuit recipe. Honey Joys are fantastic for the kids (or adults) and are ultra-easy. With only four ingredients, which are pantry staples, you can make this sweet treat tonight. Making these shortbreads won't require a shopping list with only four ingredients. Shortbread is a classic and versatile biscuit. Make this recipe today and always have some on hand. 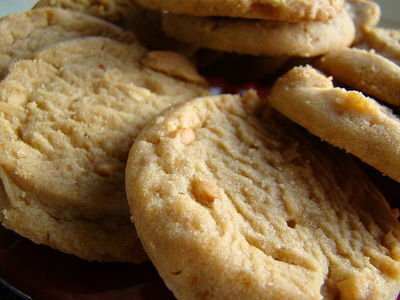 These peanut butter biscuits are nutty, chewy and totally delicious - and very easy to make. They are great for kids and adults alike. Make one big biscuit or lots of small ones. Studded with choc chips, this recipe is a winner. Why? Nothing beats a freshly baked batch of biscuits.